Dr. Dan Thunell has wanted to be a dentist since he was three years old. He is passionate about preserving his patients’ natural teeth for as long as possible, and for creating a natural looking smile when surgical intervention is needed. Dr. Thunell has been on faculty at the University of Utah School of Dentistry for the past five years, and was recently hired as a clinical periodontal instructor where he will be part of the school’s dental implant clinic. 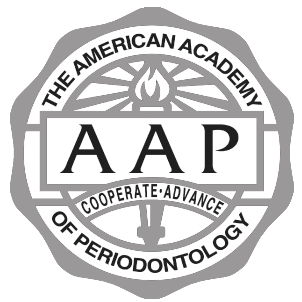 Additionally, he is board-certified by the American Board of Periodontology, is a regional representative to the American Board of Periodontology and a past president of the Intermountain Society of Periodontists. He received his DMD from the University of Pittsburgh and his specialty certificate in Periodontics from the University of Iowa. When he is not working or playing with his family, he can be found cycling the roads of Utah. Sue has been a hygienist with this practice since it opened, and since she graduated from Weber State with her hygiene degree. She loves the people who are attached to the teeth she cleans, and says she has learned so much from each of her patients. She is quick with a joke, and also enjoys gardening and hiking. And everyone in the office enjoys that she loves to bake and share her treats. Whitney is a dental assistant extraordinaire, assisting with all surgeries and handling supply ordering. She’s been an assistant for twelve years, and part of our team for the last seven. She loves seeing patients come in at the end of their treatment with happy, healthy smiles and knowing that she helped them reach their goal. When she isn’t at work, she loves working out, watching movies with her family and baking fantastic cakes. Patti has been a hygienist with us for twelve years, and she enjoys every patient she gets to work with. She’s a graduate of Weber State University, and loves to be with her family. She enjoys being outside, and would hike every day if she could. She also enjoys pickleball and racquetball. Caitlin is our business manager, responsible for all accounts and insurance claims. She’s been a critical team member for five years, and loves the patients she gets to know over the course of their treatment. She is currently studying for a degree in Public Health, and loves to travel with her dog, eat out with family and friends and practice her photography. Jill has been the office manager with our practice since it first opened, and we couldn’t do it without her. She often says that Wasatch Perio has a monopoly on nice patients, and those nice patients are her favorite part of her job. In her spare time, she makes beautiful jewelry (she never misses a Gem Faire!) and loves shopping for antiques. She also enjoys concerts and plays with family and friends. Cynthia recently moved from chair side to front office, and we are so glad she did. As a dental assistant for the past three years, she loves understanding the in and outs of procedures. When she isn't at work, she can be found at music festivals with friends. She also enjoys staying active and working out. Cynthia is currently attending Salt Lake Community College and working toward a degree in the medical field.